The gift for someone who (you think) has everything! I am very pleased to share with you a preview of the book that features a chapter I wrote on shared family land and what to consider when preparing for generational transitions. My chapter outlines the steps that are part of making a decision, and some of the tricky issues that come up for families over time when sharing properties. The following is an edited list of some of those tricky issues that can cause conflict over time with legacy family properties. Communication – Poor communication between family members is generally what begins to make family members disengage. Financial Burden – Someone has to pay. Talk through and create some guidelines around expectations. Financial Disparity – Sooner or later this will be an issue for family members if the property remains in the family for a long time. Usage Disparity – The more users there are, the faster this will become an issue. Ownership Perception – This issue can be closely tied to usage disparity. Ownership perception is different than actual ownership. It describes the perceived difference in ownership among family members. Management Burden – The size and scope of the property will dictate how much time it takes to manage and steward the property. Anticipate and discuss how this will work over time. House Rules – It is no fun to arrive to a house that isn’t clean or has no food in the pantry when you left it fully stocked on your last visit. Establishing clear expectations for these details can go a long way towards family harmony. 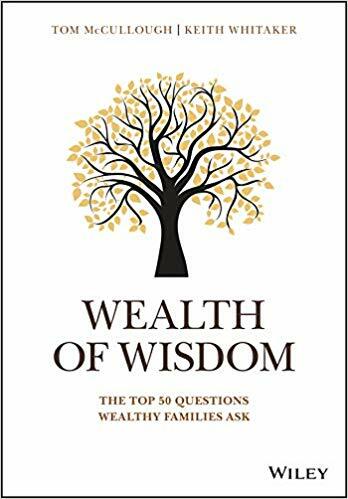 Wealth of Wisdom, authored by Tom McCullough and Keith Whitaker, features additional questions and commentary on topics that are relevant for families of wealth as they plan for the future. My fellow contributors are highly respected for their work with families. It’s a great honor for me to be included, and I knew you’d all be interested in checking out a summary of the content. 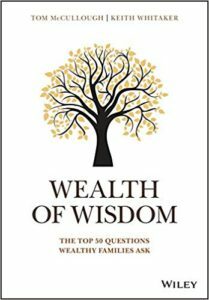 Click on the link below to see a mini version of the book and its contents, with kernels of wisdom in every chapter. 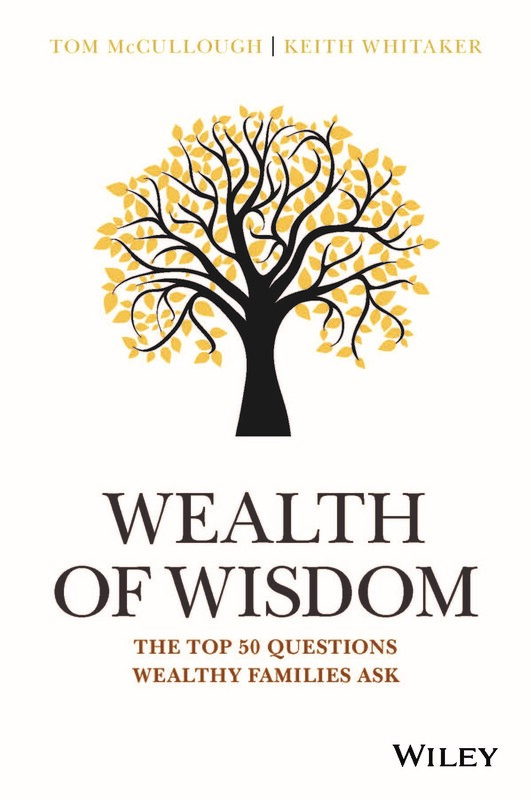 There is also a website for the book (www.wealthofwisdombook.com), which gives you info about the book, it’s authors and contributors and has a link to pre-order copies, which are scheduled to be released early December.